On Sale Now! Save 3% on the SPC ENV50 Env 30'' x 30'' Oil Only Class, Pad Configuration Maxx Enhanced (50 Per Bale) by Brady SPC at Beaver County Collision. MPN: ENV50. Hurry! Limited time offer. Offer valid only while supplies last. SPC 107702/ENV50 Env-maxx enhanced is equally as effective on land as on water. Efficient single-ply construction, white, economy, heavy weight pad. SPC 107702/ENV50 Env-maxx enhanced is equally as effective on land as on water. 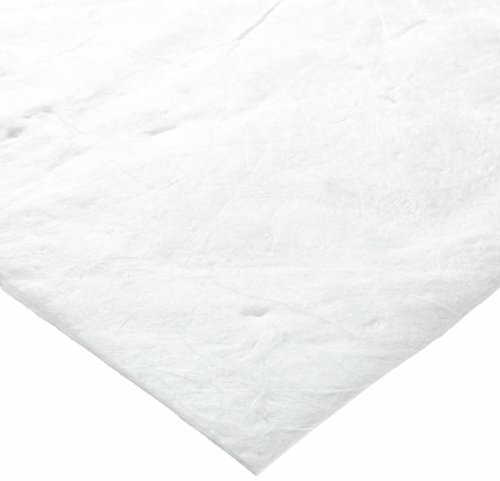 Efficient single-ply construction, white, economy, heavy weight pad. Maxx means greater performance without the extra weight. Ideal for marine applications where low cost and high absortion capacity is desired - emergency spill response, off-shore spills, a low-cost industrial alternative. Applications is overspray leaks and drips, workstations, drums - liquid storage, outfalls and discharge ponds. Oil only class, configuration is pad, technology is single ply. Measures 30", 30" and shipping weight 27 lbs.